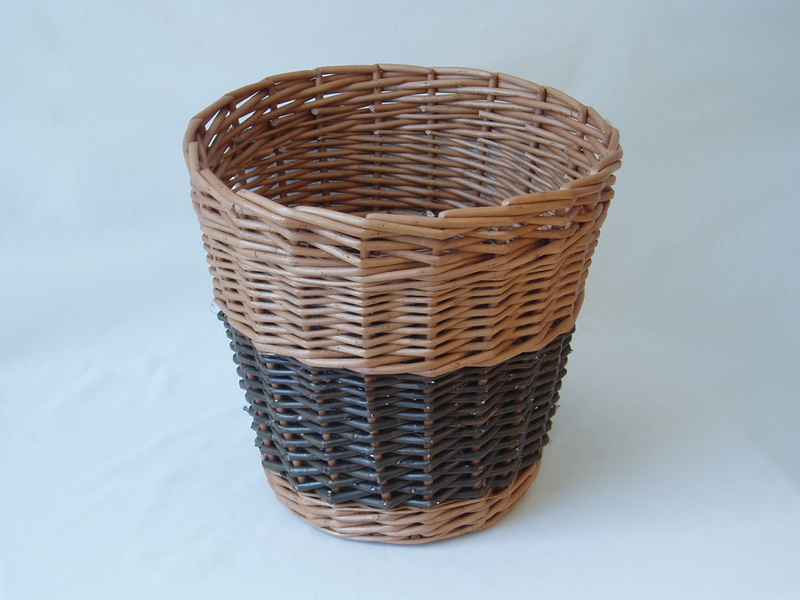 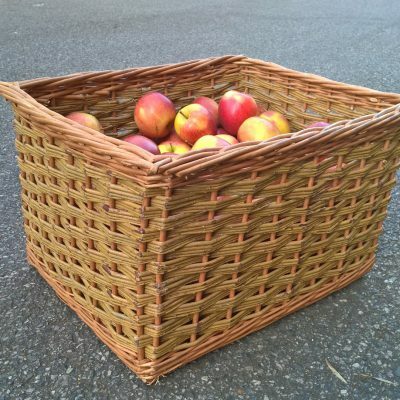 A randed weave waste paper basket with track border in buff and steamed willow – half and half. 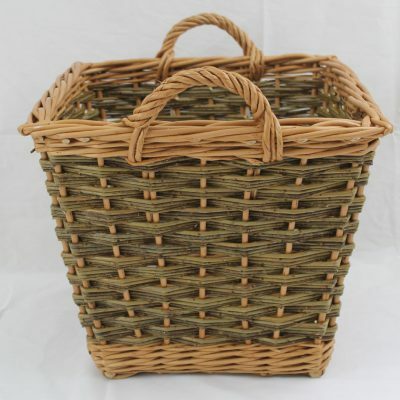 We make everything to order so can make your basket to the size you prefer and in the colour scheme of your choice. 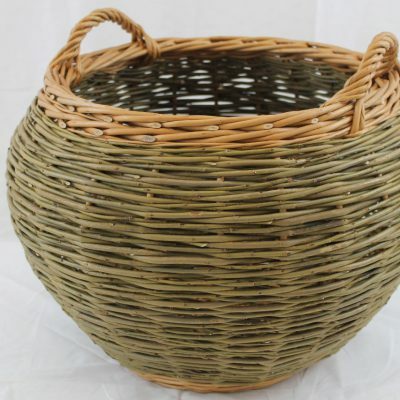 See the Willow Colours page for more information.